Chopta Region which constitutes of Tungnath and Chandrashila Trek, Devariyatal Trek is an extremely picturesque hill station with majestic Himalayan views, sprawling lush green meadows, beautiful jungles with hundreds of birds species. Though you will reaching trekking to an altitude of 4000 mts, but the trek is easy and suitable for beginners. This trek boasts stunning views of various Himalayan peaks namely Nanda Devi, Trishul, Chaukhamba and Kedarnath. Day 0: Meet at a given pickup point (most probably ISBT Kashmiri Gate, near metro station) sharp at 10 pm. Start the Drive to Chopta. Day 1: Continue the drive and enjoy the the famous places in between like: Haridwar, Rishikesh, Devprayag, Srinagar, Rudraprayag and Ukhimath. Do the breakfast and lunch in between (not included in package). Arrival in Chopta (Mayadeep Resort), enjoy the welcome drink. Rooms will be assigned as per the group and its size on double/triple/quad sharing basis. Enjoy the tea with snacks in common area after Check In. Explore the nearby area, meadows and streams or enjoy indoor games. Take sound sleep after dinner for exciting day tomorrow. After Breakfast, trek to Tungnath and Chandrashila (Trail snacks during trek). Trek back to Hotel. Evening snacks followed by dinner. Night stay in Resort. Tungnath: It is the highest Shiva Temple in the World (3600 mts) and is one of the famous Panch Kedars. 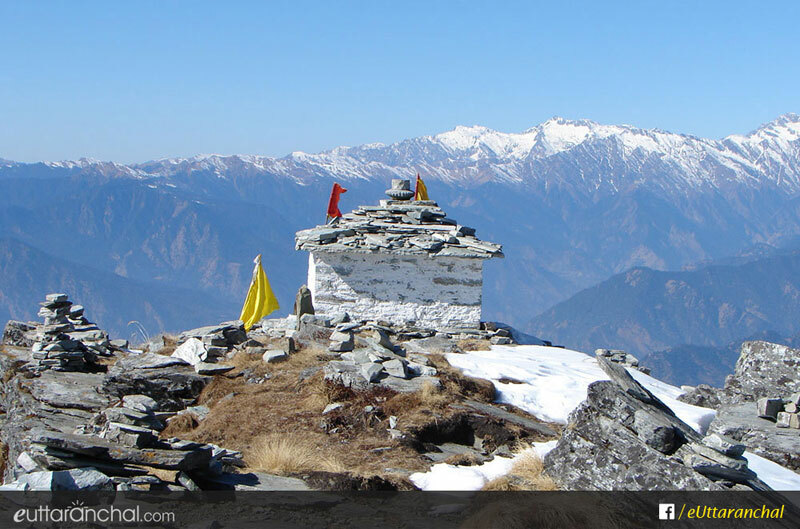 Chandrashilla: Summit of Chopta and Tungnath, takes just 1.5 kms to reach an altitude of 4000 mts. You will see 360 views of Himalayas. After breakfast, drive to Sari Village. Start the trek to Devariyatal, enjoy lunch near the lake. Enjoy the view of Chaukhambha (on clear days you can see the reflection on the lake) and you can also do bird watching as well. Explore the nearby area and enjoy camping in Deoria Tal. Dinner and night stay in Deoriatal. After Early morning breakfast we will trek down to Sari Village. Drive to Delhi and reach there by late evening. Tour Ends. Accommodation in Mayadeep Resort on twin/triple and Quad sharing basis (depends on room availability) OR Dome Tents (Camping). *Note: You can also contact for custom dates as well for this package. Reach out to us to get a custom itinerary of "Chopta Fixed Departure Package ex-Delhi" package!